Whenever one thinks of a train tour, it fills their heart with joy and thrill for the upcoming experiences. And one of the best ways to enjoy a train journey across different regions of India is to embark on the Palace on Wheels that trails through beautiful landscapes around Northern and Western India. Galloping through hilly terrains, barren yet magnificent desert, and exotic wildlife reserves, this train offers an experience like no other.The Imperial interiors and world-class services inside the train are something that has been winning hearts in the country as well as overseas. Several passengers swear by the quality and proficiency of the train. The royal interiors paired with professional services make this luxury-laden journey a special one. The interior design has been taken to another level as every corner reflects royal elegance. Right from the gourmet restaurants to the plush cabins and presidential suites, everything has been incorporated keeping the comfort and indulgence aspects in mind. 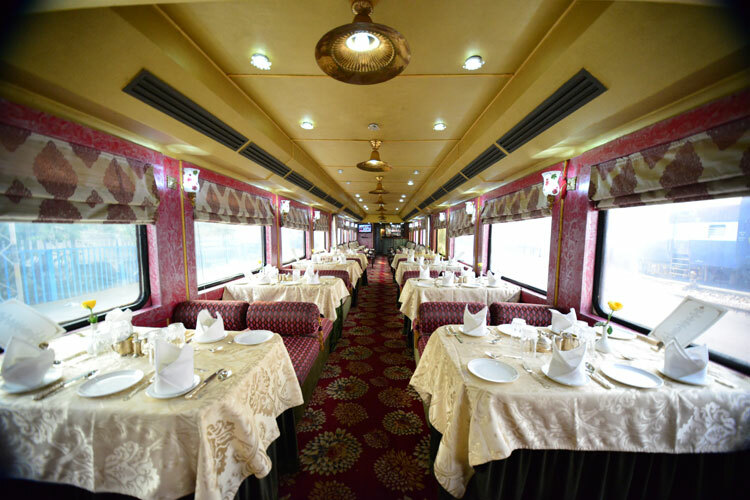 The two dining cars within the train are set up in authentic Rajasthani style. The air-conditioned sleeping chambers make the passengers feel comfortable all along the ride, especially when the locomotive trails on long routes to reach a new destination. The way the journeys have been scheduled on the Palace on Wheels requires it to go on several overnight travels. This is why the plush and cosy interiors have been designed to provide uninterrupted rest to travellers. Worldwide Rail Journeys, the General Sales Agent for Palace on Wheels, helps customers from all around the world to book fantastic tour packages. They also offer special discounts that include a slash in prices, a package for the elite club members or tour packages for explicit occasions. The primary focus of the dedicated travel operator is to make the booking process simple so that the avid travel lover can think only about having a beautiful experience. The new carriages of the Palace on Wheels are slightly more spacious and have a total capacity of 82 passengers. One can book the double or single room as per requirement. The two Resto-Bars within are perfect for unwinding with your favourite people. For the ones who are feeling a bit stressed, they can indulge in a relaxing massage therapy at their ayurvedic spa facility. The train also provides 24 x 7 Wi-Fi service via dongles that help you stay connected with the world outside at all times. Whether you want to host a conference or get work done on your laptop, you can simply avail their savvy internet services while you sip a cup of hot tea. Riding on the Palace on Wheels is truly a life-changing experience. 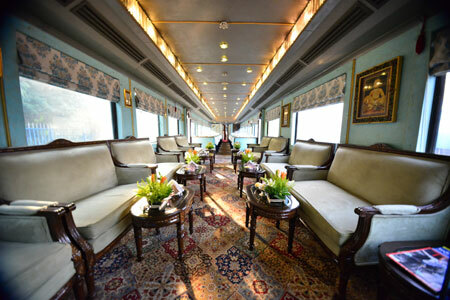 The royal interiors and mind-blowing services contribute to making your train journey a comfortable one. So, pack your bags and set off on a regal trip across India.